That is just a fraction of the estimated $65 million a year it expected to save if it had moved those jobs to Mexico. It suggests that the incentives cited by Carrier were not the only factor in its decision to stay put. Carrier is getting a modest $7 million in financial incentives over the next 10 years from the state of Indiana to keep 1,000 jobs at an Indianapolis plant, sources familiar with the deal tells CNN. The company will get $500,000 per year in state income tax refunds, as long as it keeps at least 1,069 manufacturing jobs in the state. It will also get about $200,000 a year to retrain workers, funding which is generally provided by the state. Carrier actually had to return some retraining funds to the state when it announced plans to move to Mexico earlier this year, and this deal reinstates that money. Carrier announced late Tuesday that it had reached a deal with President-elect Donald Trump and Vice President-elect Mike Pence, who is currently governor of Indiana, to keep about 1,000 of 1,400 jobs at its Indianapolis plant, rather than move them to Mexico. The company said state "incentives" from Indiana were an "important consideration" to its decision to stay put. But experts say the state incentives are more likely window dressing. Most research indicates that economic development incentives rarely change a firm's behavior, according to Nathan Jensen, a professor at the University of Texas. "They are a subsidy to a company with little value to society. Our research shows that offering incentives is a great way for politicians to take credit, or minimize blame, for company decisions." Even though this package of incentives isn't a lot of money, the practice is worrisome from a policy perspective, Jensen said. "It's clearly a small deal. But you have a business that made a threat getting $7 million it doesn't need," Jensen said, "while there are small businesses paying the full tax rate." He added that "there's the concern that this only encourages more companies to make this kind of threat to move, if not to Mexico then to another state." Carrier's statement also cited Trump's promise to "create an improved, more competitive U.S. business climate." It's not yet clear how much of the company's decision was based on concerns about maintaining the significant amount of business it does with the government. Carrier parent United Technologies (UTX) is a major defense contractor, with $5.6 billion in revenue from federal government contracts, or 10% of its total revenue. The government also pays for $1.5 billion of its research and development costs. "I have no doubt that the company was thinking about more than a single plant when they made the decision," said Jensen. 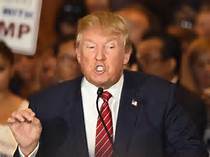 Trump had also threatened to impose steep tariffs on goods made in Mexico that are exported back to the U.S. And he has vowed to renegotiate NAFTA, the free trade agreement between the U.S., Mexico and Canada. The uncertainty about the future of NAFTA could also have made Carrier reconsider the move.